Here's something you might not know about us: people write in and ask for a lot of Halloween advice. And one of our most frequently asked questions is, "how much candy is enough on Halloween? How much is too much?" Well, our Customer Service department answers this question so frequently, that we thought we'd help them out and take the guesswork out of binge-candy consumption for you and your family. Ta-dah! This Treat Candy Meter Bag can show you just how much candy you've acquired and how much more you should try to get. Your kids will love watching the meter tick up with each house in the neighborhood, and you'll love being able to give them a measured way to consume it all, over time, when they get home (no more than one notch a week, perhaps?). So, you're welcome! This black plastic tote is durable and vibrant, with it's green, orange, and purple designs printed atop. The transparent meter starts at "fill 'er up" and moves to "keep it comin'" before finally landing at "spook-tacular!" The orange handles are strong and easy to carry, even for smaller hands. 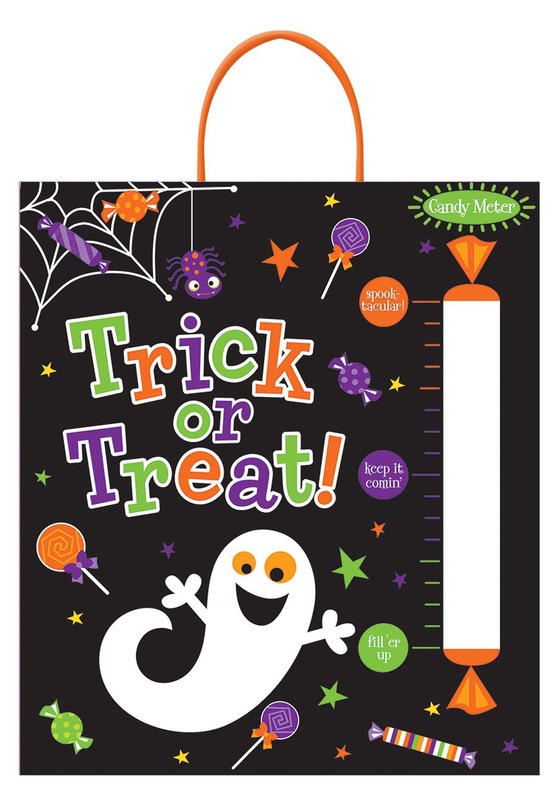 This bag can be used year after year to compare candy hauls over time! 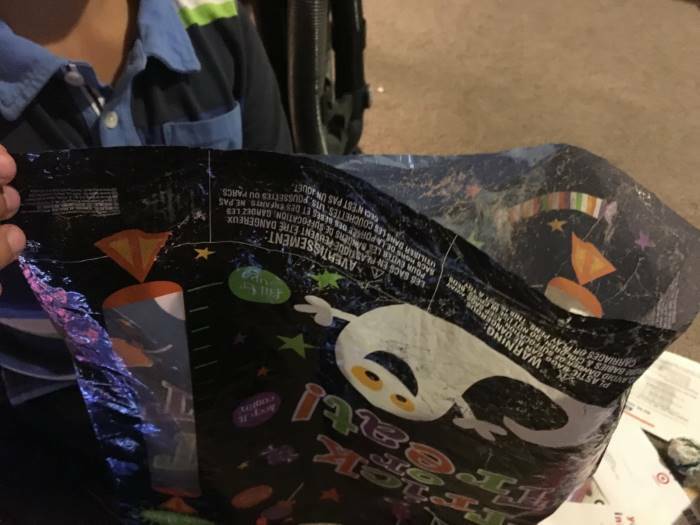 Of course, if you're anything like us, there is no "right" amount of Halloween candy to consume. So just enjoy watching the sugar pile high in the candy meter. After all, the kids need to learn to share, right? Piece of crap. Seam ripped out of the bottom after 5 houses. I apologize that this didn't work out for you, thank you for the feedback.